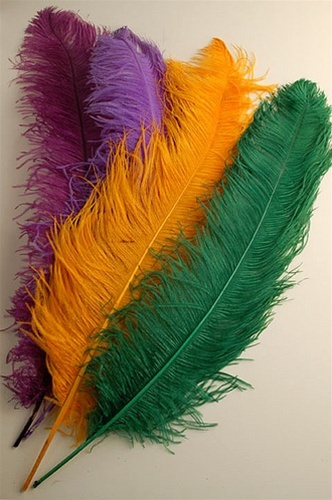 Ostrich Plumes First Quality,excellent selection. Used for Millinery,Costumes,Theatrical,Fashion,Carnival,Mardi Gras, and many other functions. These are sold by the DOZEN ONLY, ONE COLOR PER DOZEN. Sold by the Dozen, One Color per Dozen.